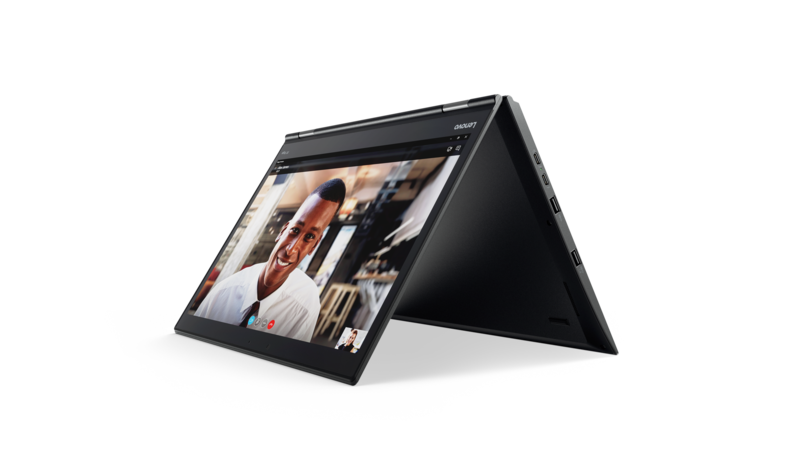 Lenovo today announced an update to the ThinkPad X1 Yoga. 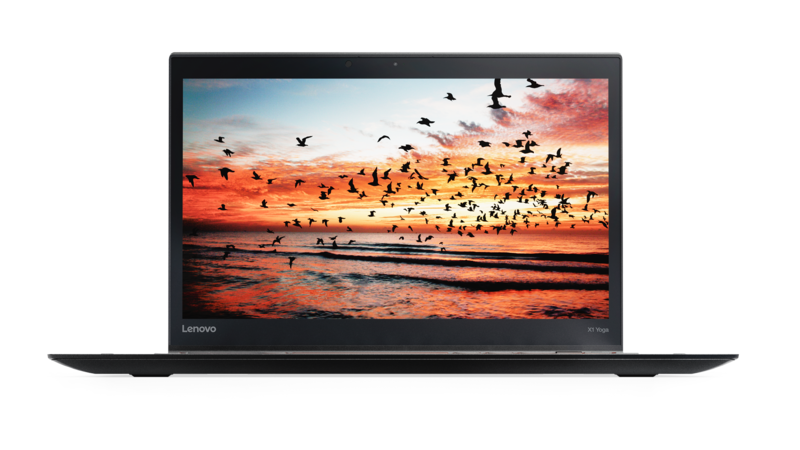 The X1 Yoga has been a great success for Lenovo, so no wonder they made it even better. The second generation has great CPU options, Thunderbolt 3 support plus an amazing “rise and fall” keyboard! It should be available to order during February 2017! 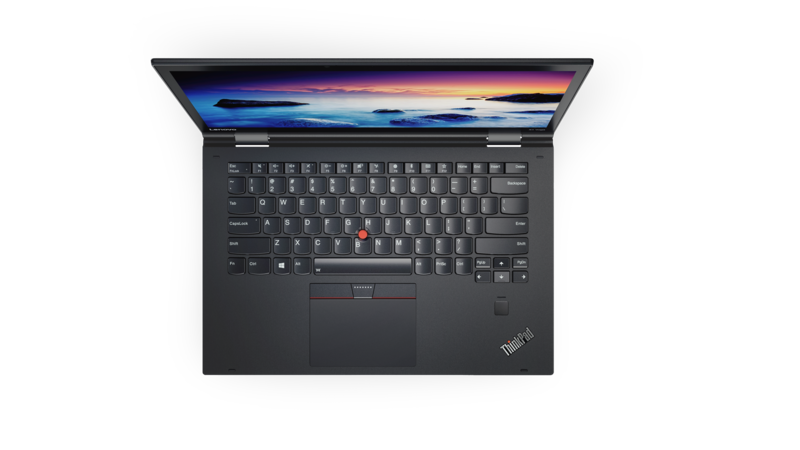 As expected, the new ThinkPad X1 Yoga is available with this year’s Intel Kaby Lake processors. What is new this year is that in addition to the i5 and i7 processors there are new processor options also available. The i7-7660U and i7-7560U CPUs contain the Iris Plus Graphics 640 integrated GPU – the regular processors come with Intel 620 graphics. Although this is not quite a dedicated graphics chip, it still increases the graphical performance of the X1 Yoga in these models. The better graphics models also come with faster LPDDR3 memory running at 2133Mhz. Storage options include SSDs from 128GB to 1TB. WLAN gets a minor bump from Intel’s AC 8260 to AC 8265. WWAN options now only include Qualcomm modems. Previously Sierra Wireless and HUAWEI modems were also offered. I think anyone who followed last week’s announcements of the Thunderbolt 3 ThinkPad dock already knows what will be 2017’s ThinkPad direction. The ThinkPad X1 Yoga gets the two USB Type-C ports that support Thunderbolt 3. But here is the good part: you still get 3x regular USB 3 (Type-A) ports, so you will not need dongles to use your existing devices! The left side of the device is quite clear with both Type-C ports and two of the Type-A ports available there. The Thunderbolt 3 ports are equal, they can both be used to power the notebook or to power external devices. 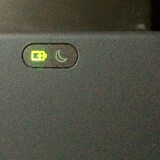 This means your ThinkPad charger will have a Type-C end that you can plug into either of these ports. If you connect the Thunderbolt 3 docking station to the notebook, the docking station will provide power to the notebook itself as well. The second generation ThinkPad X1 Yoga also gets a HDMI port and Lenovo also added a native RJ45 port. Because of the thin profile, the RJ45 port will need a dongle – a full sized Ethernet port would not fit in. The dongle will be provided in the box with the machine. I think this is a good choice on the part of Lenovo, because the RJ45 dongle will now not take up one of the ports, rather has a dedicated port – the first gen X1 Yoga also needed a dongle to use Ethernet, but in that case it used either an USB port or the OneLink+ connector. The Mini DisplayPort is gone, but this is offset from the Thunderbolt 3 ports, which along with the HDMI port provide an awesome array of connectivity for the new X1 Yoga! In fact, you can power 2x 4K displays at the same time while still using the notebook’s own display. Or if you have 2K displays (FHD), you can power 4 of those at the same time, in addition to the notebook’s own display – for a whopping 5 displays at once! You will also be able to daisy chain DisplayPort monitors from a single Thunderbolt 3 port. The current generation model has a lift and lock keyboard. When you open the display beyond 180 degrees, the keyboard frame raises and the keys lock in place, so when you use tablet mode, you cannot press the buttons. Lenovo changed the keyboard design for the second generation. 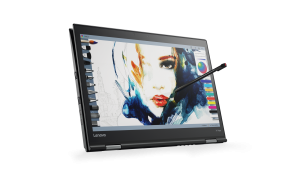 All screens include touch and a Wacom digitizer with built in (chargeable) pen. The chassis stays about the same with a little bit of thickness added (less than a mm). The weight stays the same. This is good news, because essentially there are no changes in the size of the notebook. 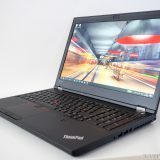 The ThinkPad X1 Yoga first version was a really great size and it’s great that no unneccesary changes are made. The second generation X1 Yoga will be available in Black and Silver as well. 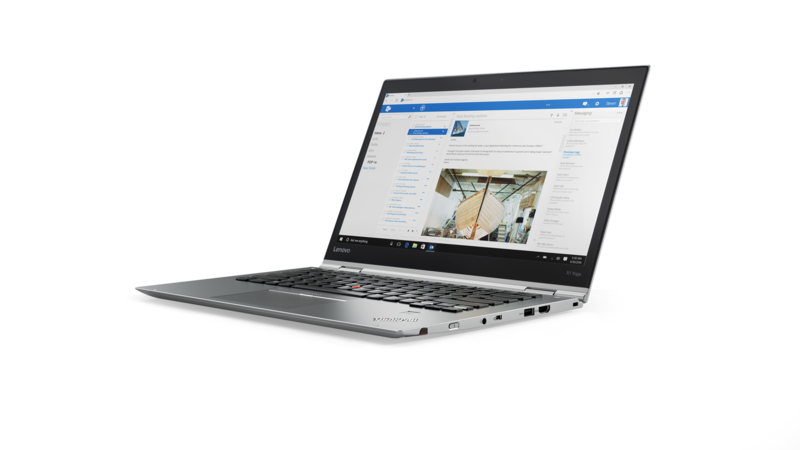 The silver option was first announced in 2015 with the ThinkPad Yoga 260, and now it will be available with the X1 Yoga as well. 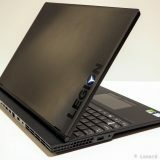 While traditional ThinkPad fans like the black one better, I like the choice (but would go black myself). 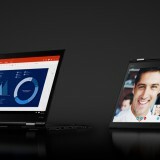 Now that the second generation X1 Yoga is coming, I asked some questions of Lenovo’s Sachin Pathak, who is the product manager for the ThinkPad X series. 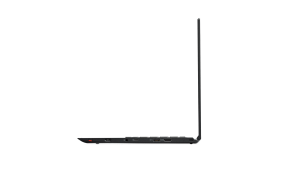 Why did you consider fusion of the Yoga product line into the X1 Carbon product line? [Sachin Pathak] It is all about giving customer a choice in how they use the product and be flexible to adapt to the person’s use. Yoga form factor allows the ultimate customer choice with 4 mode of operation – PC Mode, Tablet Mode, Stand Mode, and Tent Mode. I understand that the X1 Yoga has been a great success for Lenovo – did you expect that when you released the machine? Were you afraid if could affect the sales of the X1 Carbon? 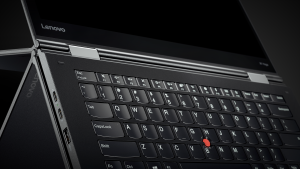 After all, the X1 Yoga is like the X1 Carbon on steroids. [Sachin Pathak] We made sure in our development and positioning phase, this was not the case. Both products have a specific use and purpose and that is the reason why they are both successful. Some features from the consumer line of Yogas (especially the YOGA 900), are missing from the X1 Yoga. Can you comment on why these were left out of the X1 Yoga? when in Tablet Mode, not getting distracted by the key press. All these items were very important to the Corporate customer and that is what we address with this product. Thank you Sachin for your answers! The second generation ThinkPad X1 Yoga takes the already successful first generation and upgrades it in the essential places. The biggest change is the new keyboard design and the addition of the Thunderbolt 3 ports, which make the ThinkPad X1 Yoga ready for the future for many years to come. The other changes are more incremental, and the addition of a stronger graphics option is a welcome addition. I like it that Lenovo decided to do more incremental updates. The X1 Yoga was a great machine already, and there is no reason to change more than is necessary. 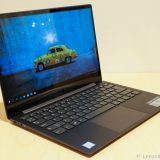 I wish the second generation ThinkPad X1 Yoga at least as much success as the first generation one had! If you can’t wait for the second generation X1 Yoga to arrive, why not read more about the first generation? The 1st gen (2016) X1 Yoga made you choose between OLED…OR…LTE-A. Will the 2nd gen offer OLED and LTE-A together as a “customizable” unit? 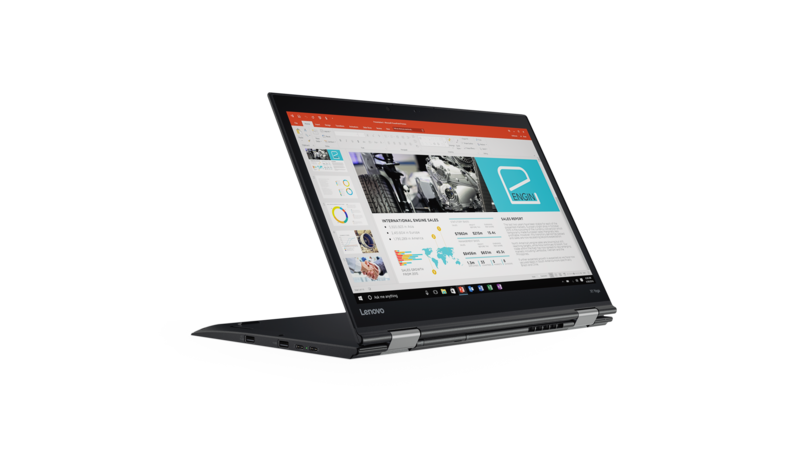 Lenovo tells me that both the 2016 and the 2017 version of the X1 Yoga is available with both OLED _AND_ LTE-A at the same time. It might be, that in a certain markets, the local marketing team decided that these features will not be sold together. But this does not mean it is technically not available. If you are unable to find a version with both in your region, you might need to customize a X1 Yoga to have them both. You might even need to contact Lenovo Sales to have this done. Although a while ago, when I was buying a T500 ThinkPad some many years ago, I also chose a version that was not available at sellers in Finland. I had the store custom order it for me, and it took some 3 weeks to get, but I did get exactly what I wanted. The 2017 version of the X1 Yoga is set to be released in February. Note that last year it was also said to be available in February – I was able to order it in the end of February and it took some weeks for delivery, I received it mid March. I would say a similar pattern is very likely this year as well. Great article Lenard. Was wanting to get a X1 yoga last year but held off as i figured a new model would be coming out. Hope its available in February for order. When looking last year from the US i was seeing the same above you couldnt order the OLED screen and LTE hope that is changed with this new model. Has this launched in India? Really looking forward to it. Hi, the Thinkpad X1 Yoga 2nd Gen looks great! Do you know when it will be released? If it’s going to be released before fall, I’ll definitely get it for college. Hi Jonathan! Should arrive this month, or March at the latest. Should work great for college! Thanks! So does it charge through a USB-C port or does it have a designated charging port? Through usb-c. You can either connect a charger directly or connect a thunderbolt-3 dock that will also charge the X1 Yoga in addition to adding all sorts of ports and connectivity options. Hi Lenard, great review! You mention the mini DisplayPort has been erased on the 2nd gen. I’m looking to drive two Dell monitors from the one laptop connector via daisy chain; i.e. laptop out via mini DisplayPort to mDP (in) on first monitor than DP (out) on first monitor to mDP (in) on second monitor). Dell manual says for this to work you need DP1.2. I know the 1st gen X1 Yoga can do this (via the mini DisplayPort) but no idea about the Thunderbolt 3 ports on the 2nd gen. Any idea whether you can get from Thunderbolt 3 to a DisplayPort and whether this new model support DP1.2? Great question, but I do not know the answer to this one. I will ask around and get back to you! I asked this from Lenovo, and they told me this will be possible with the new X1 Yoga. 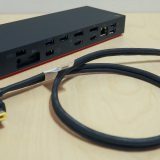 There are many dongles and adapters available that turn a Type-C port into DisplayPort, and I would think Lenovo will have its own adapters when the system begins to ship. You can usually select all kinds of adapters for your system if you are ordering from Lenovo.com directly. If you choose a third party adapter, make sure it is just a pass-through adapter, and not something that changes the display signal. The Type-C/Thunderbolt 3 port should output the display signal already, and it only needs to be converted into the DP form factor, no need to change anything. I think they are quite late for the release. Any updates from them? Unfortunately no updates I am aware of. 🙁 I will let you know if I find out something. 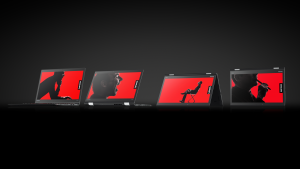 Come lenovo yalla yalla release the X1 yoga already, we want to get our hand on this great piece of tech. I’ve asked Lenovo in Singapore. Tentatively, release has moved to May subject to other considerations. May? Wow that’s crazy. Not sure I will wait for it until than. 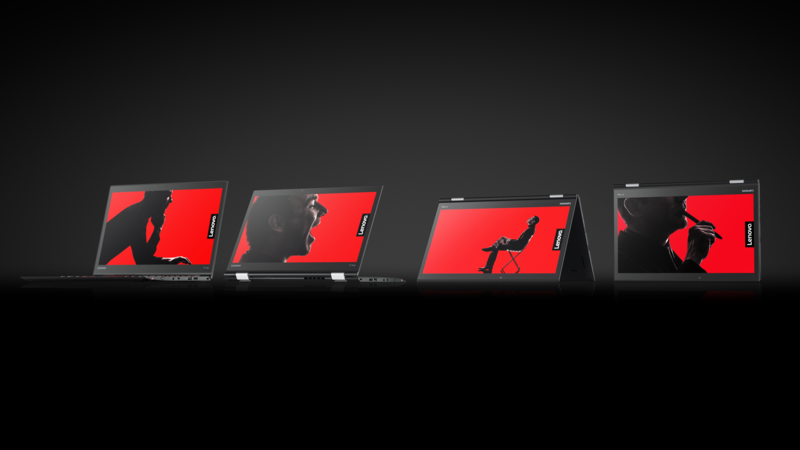 Any word on when the X1 Yoga 2nd Gen will be released? 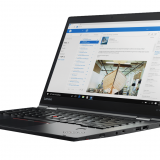 The X1 Carbon 5th Gen has already been put up on Lenovo’s website, but they haven’t said anything about the X1 Yoga. Ok, this is semi-official, but probably the above mentioned rumor is correct, and X1 Yoga 2nd gen will get released during May/June this year. No reason given. 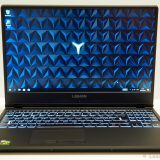 What is the most similar computer on the market for this one if I don’t want to wait for May? Same 2-in1 with good connections and thunderbolt? Look at the HP Spectre x360 which should come with 2x Thunderbolt3 enabled USB Type-C ports that also support power delivery. It is a similar convertible. (I cannot comment on availability for the HP model, I have not checked into it that much. Search online to find out if it is already shipping). Thanks for the answer. Yeah too bad indeed, I was looking to get that one. Yeah seems like it’s out already. 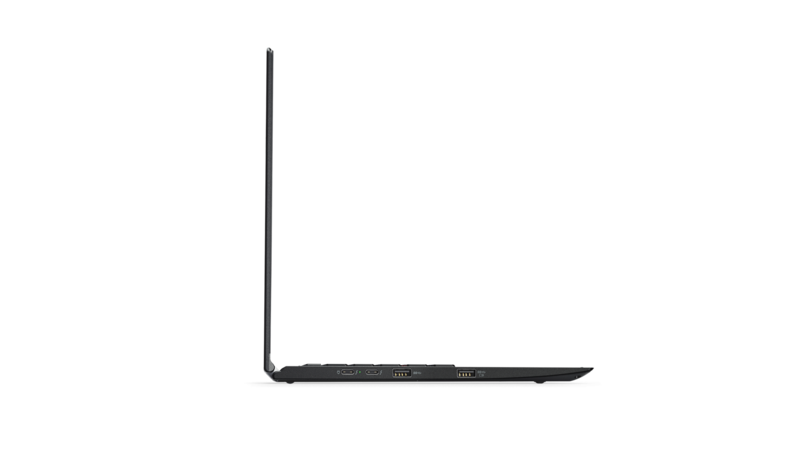 And they also offer a 15 inch version that is 2-in1 (HP Spectre). Might go for that one. 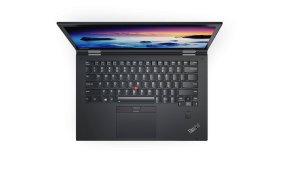 If you’re just looking for a really nice Thinkpad, the Thinkpad X1 Carbon 5th Gen is already out and is basically the same as the Yoga but isn’t a 2 in 1. 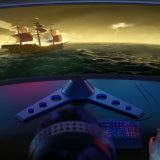 I contacted Lenovo today and according to them they said it would be available on April 8th. I was surprised and excited to hear a specific date. 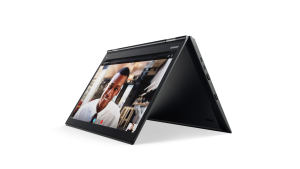 I contacted Lenovo today and according to them, they said the X1 Yoga will be available on April 8th. It is past April 8th. Any word? It is available for order on some markets, like Australia, with a 4+ weeks of deliverytime. I have no informatiol on specifics of the rollout — when it will be available for different countries. Looks like the specs have changed…particularly the graphics capabilities. What were the changes you saw? The Iris graphics 640 does not seem to be an option. Maybe it will get added later? Does anybody know how much more it will cost (compering to the 1st gen)? The price should be about the same as a comparable 1st gen. The price for the 1st gen probably will get discounted. A couple of Lenovo sites say “coming later” in reference to the Iris 640 GC. No word yet if BOTH OLED and 4G LTE will be available in US. Shows the •Integrated Intel® Iris™ Plus Graphics 640 (optional). Keep your fingers crossed!!!!! Although I think this is an Irish website…..
Like others, I am waiting for the release of the X1 Yoga 2nd Gen and check for news frequently. 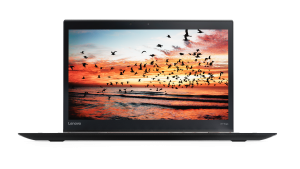 I noticed today that the availability of first generation devices on the Lenovo website (Austria, UK, US) seems to have dipped with orders shipping in more than 4 weeks. Well, we are in may…! 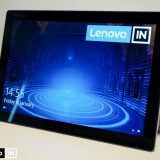 Anyone knows really when at least will be availble the new Lenovo Yoga X1 2nd Gen ??? So today looking at the us site you can now order it but it will ship in 5 weeks. For US you cant have the OLED screen with WWAN can you get that option in other countries? Is it a good time to buy or wait for specs to improve a little bit? 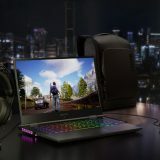 Its a good time to buy they have 20% off sale on the X1. If you wait it will be a year probably as the gen2 just got released. 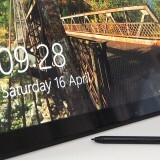 Next story Miix 510 tip: Where is my Fn lock?